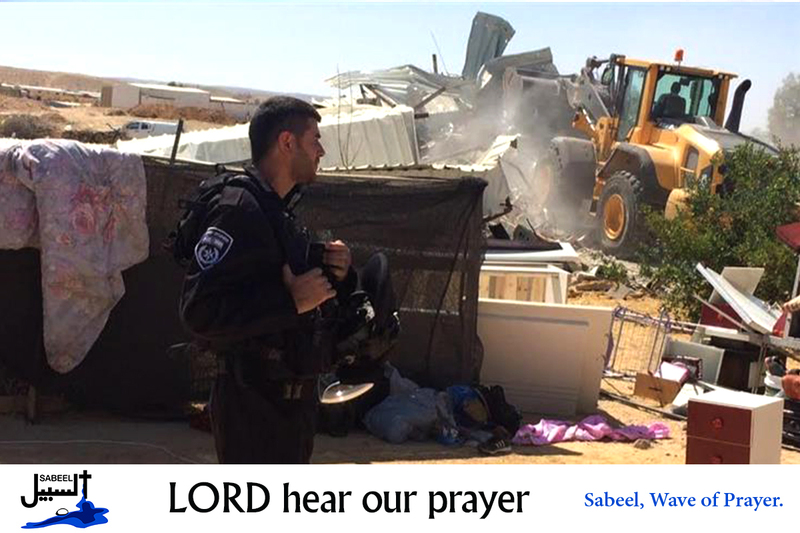 On the 7th February, Israeli occupation forces demolished the Bedouin village of al-Araqib in the Negev desert, southern Israel, for the 140th time. This is the second time in two weeks that the village has been demolished leaving families without shelter during winter rains. Lord, we thank you for the courage and stubbornness of the people as they continue to rebuildand refuse to be forced out of their land. We pray that you will help the Israeli decision makers accept that truth and justice always triumph over the power of violence. Lord, in your mercy…hear our prayers.